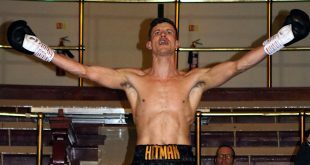 At the Greenbank Sports Academy, Liverpool, last night, MTK Promotions hosted a show which featured five contests. A thrilling headlining bout saw a Liverpool Derby between locals Brian Philips and Nick Ball. 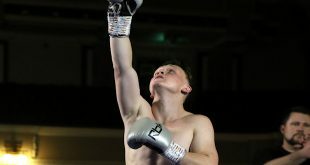 Punches were flying in from both men – with each finding success but Phillips took a head shot in the second which shook him and Ball went all out for a stoppage. Phillips was under pressure resulting in Referee Jamie Kirkpatrick stopping the fight in the second frame just as the towel flew in from Phillips’ corner. Four out of the five contests failed to go the distance. 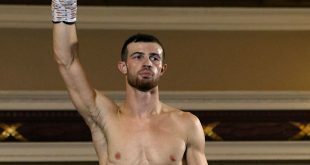 Liverpool man Gerard (Ged) Carroll targeted the body of experienced Ibrar Riyaz (Reading via Blackburn) to score a 60-54 points victory. Paul Peers of Liverpool went to his knees in 2.59 of round one having taken a body shot from Liverpool’s Meshech Speare. He was counted out by Referee Gray. And Craig Glover also made short work of his opponent. 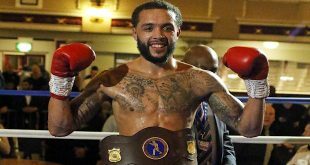 Westbury boxer - Kevin Williams, was counted out in 1.53 minutes of round 1 by Referee Kirkpatrick.